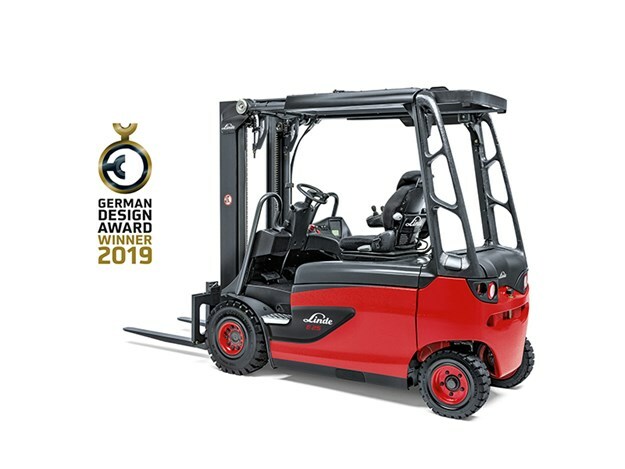 Linde Material Handlings’ Roadster forklift concept has impressed judges at the German Design Awards, taking out an accolade in the Utility Vehicles category. The international panel of experts selected the vision-optimized version of the successful electric counterbalance series, the Linde E20-E35. The unique vehicle concept already caused a stir in the forklift industry when it made its debut in 2016. Design modifications made by Linde Material Handling have managed to completely eliminate the need for the usual A-pillar. "The overhead tilt cylinders absorb the lifting forces and direct them backwards via the overhead guard frame," Linde Material Handling says. "Thanks to this creative solution, Linde Roadster drivers enjoy an almost unlimited all-round view, which makes their work not only much easier but also significantly safer," it adds. This is the second award for the Linde Roadster. Back in January last year the special Roadster model also took the renowned French industrial design award ‘Observeur du design 2018’ offered by APCI (Agence pour la promotion de la création industrielle). "We are delighted to receive this special award," Linde Material Handling chief sales officer Christophe Lautray says. "It shows that it is absolutely worthwhile to keep on challenging what already exists and – in the interests of our customers – tread new paths that provide clear added value in material handling." The German Design Award has been presented annually by the German Design Council since 2012 and is one of the most recognised design competitions worldwide.